Fujichrome Velvia, OM-4T, 24mm lens, 1/125 second at f/5.6. "The property surrounding Camps Gulf has historically been open to access. 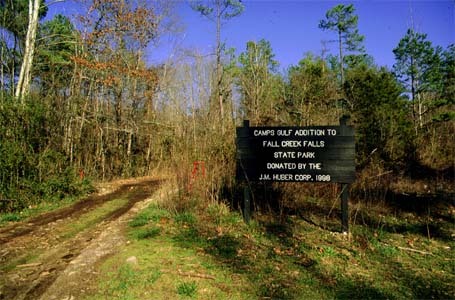 In 1998, the land was donated to Fall Creek Falls State Park. Here, the beginning of an old logging road is visible. The half mile road is in very poor shape, and requires a four wheel drive to traverse."